It’s a common approach that most MBA applicants follow. Start off with test prep, spend several months on it, take the test, and then start thinking about what to do next. It’s true that this strategy (of taking up each component in the application requirements and tackling them one at a time) allows you to focus entirely on the task at hand and reduce the distractions. However, there are a few drawbacks that you should be aware of. Keep in mind that you are putting together multiple pieces of a bigger jigsaw puzzle. There are many things in the process that have an interdependency on other components. We’ll consider some of them in the sections below. A linear process (finishing the GMAT first before considering the other elements) stretches the application timeline significantly. 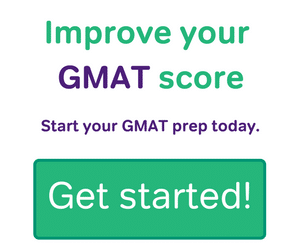 Preparing for the GMAT/ GRE is an intense process. Your fatigued brain needs a break to recharge and refocus. Taking up other crucial aspects of the application process can help you do just that. 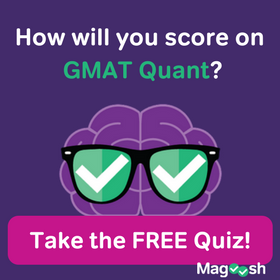 Here’s what you can do in conjunction with (and not after) your GMAT prep, as you continue to aim for that super high GMAT score. 1. Having a business school list ready can save you money. 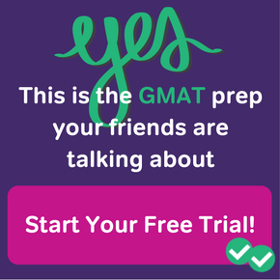 Even if you aren’t applying immediately after you get a GMAT score, you do have the privilege of sending your scores to 5 programs for free. Any other business school that you include in your application list will incur an additional cost. Of course, you could walk into the test center knowing all the tricks to crack quantitative problems, yet nothing about your prospective business schools. There are no penalties for that. However, having a short list of 5 schools will surely give you a little bonus. 2. Deciding if you need an MBA consultant can help you plan your timeline. Just like you decided whether you’ll sign up (or not) for professional help for your test preparation, there’s another question waiting to be answered. Should you hire an MBA consultant? Before you make that decision, it would help to dig a little deeper. Consultants can come in all hues. The scope of work they do varies and — unlike MBA rankings — there isn’t any globally accepted list of good consultants. Spend some time trying to understand what they can do for you, what they shouldn’t do for you (like writing your essay) and what you should do on your own. Why is it important to know this upfront? Because working with a consultant will make the process slower (and not the other way around) and impact your timeline. That’s a strong reason to do the research along with your GMAT prep. Here are some more thoughts on whether hiring MBA admission consultants is worth it or not. 3. Learning about the MBA essay topics early will give you time to introspect. Just like you’ve prepared to take any quant or verbal problems, take some time to understand what business schools will throw at you in their essay topics. The essay prompts may often sound deceptively simple since they cover more or less the same concepts (why MBA, why now, career goals). Since there are no right or wrong answers to these questions, it’s tough to know if you are on the right track. It can take weeks or months of introspection to figure out some of the answers. Don’t assume all the answers will fall in place when you are ready to start writing the essays. 4. Researching the various career options will strengthen your application. Though you won’t need this for your test, you will need to have clarity about where you are heading with your MBA. What doors do you want the degree to open up for you? Do you even require an expensive MBA to get there? Will you enjoy your new career in that industry and role? Or will you end up looking for an exit a few years after enthusiastically getting into it? Read up on the list of career options. Learn about the various industries. If possible, talk to MBA alumni who are working in those roles. Decide if you want a specialist or a generalist career. You’ll find a lot of interesting opportunities in the industry that offer a logical extension to what you’ve been doing. Don’t assume consulting and banking are the only options you have. 5. Learning about the education loan process can help you avoid heartburn later. Most MBA students don’t have pockets deep enough to fund their degree without some external help from funding agencies. The student loan process advertised on various websites may seem straight-forward—drop your application at the entrance, go shopping at the mall, on the way out get your loan approval. But in reality, takes longer than that. The process can also involve getting your head around several unusual terms (like APR, collateral, moratorium) that you may not be familiar with. Don’t rely on one financing team just because your friend got funded by them. Start talking to multiple companies. Find out whether you’d be eligible to apply and the documents you’d need. 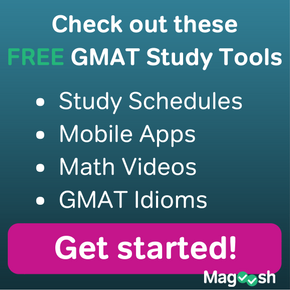 In summary, when you are applying to the top programs there’s a whole lot of work to be done apart from religiously following your GMAT study plans. Don’t defer it all till the last moment. It’ll just mean that you’ll end up cutting corners to meet the application deadlines. Start early. Take small steps. The bigger picture will seem less intimidating when the application submission dates draw closer. Hi Sameer, this is helpful! Thanks! In re to #5 above, just to confirm, scholarships are applied to AFTER school acceptance, correct? 🙂 Thanks!